The Health Sciences course includes an interdisciplinary set of skill, initiated with a strong understanding of the determinants of health, the concept of public health, the development of health planning of the nation, the evolution and impact of various health and family welfare programs of the nation, as well as an understanding of the community and its practices. This knowledge, in combination with the field based study during the first year of the course, provides the context in which skill and knowledge from pertinent laboratory sciences (primarily microbiology, biochemistry, pathology, immunology, radio diagnosis, genetics and molecular biology) are imparted. Moreover, rotational training and exposure to all the clinical and diagnostic departments of the hospital in the first year makes the medical graduates more competent in treating the common diseases. Thus the course looks beyond traditional training of the students in laboratory sciences in epidemiological activities, but provides research skills, grounded in a realistic understanding of the public health context in India. The course aims at creating a new breed of public health professionals, who will have the ability to understand, evaluate, manage and be able to enunciate the legal, regulatory, social and ethical needs as newly emerging health technologies e.g. recombinant vaccines, stem cell technology, card blood banking etc. impinge on the health system of the country. Minimum one and half year of posting in the department of interest satisfies the quest of the medical graduate to have some specialized knowledge of the subject and confidence in the management of that particular specialty. After passing MBBS a medical graduate is not confident enough to go for private practice, starting his own clinic or hospital or develop a health care center. The only aim of newly passed medical graduate is to go for post graduation. The numbers of PG seats in government medical colleges are inadequate and in private medical colleges are very expensive, beyond the reach of common men. Moreover in India medical health service sector requires a large number of trained medical graduates\ postgraduates who can assist our consultant specialist \ super specialists to carry out the treatment with desired accuracy & specificity. To meet this long felt demand, we have tried to develop medical graduates having M.Sc. Health Science degree. 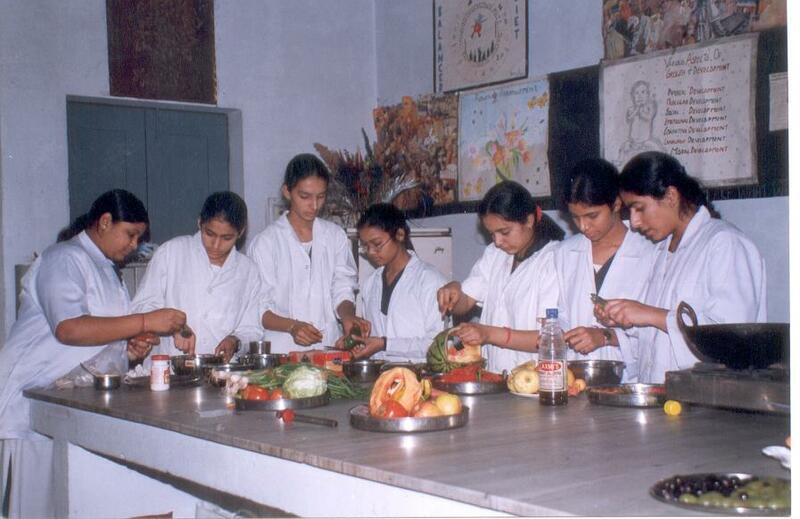 It is a skill enhancement program having a combination of skills with epidemiology & laboratory sciences. This program develops ability to better treat most of the general diseases and specialization in the management of the diseases of one clinical specialty of choice within the affordable expenses. Moreover M.Sc., Ph.D. and integrated M.Sc. Ph.D. Degrees are awarded as per UGC norms and are recognized worldwide while our MD, MS, DM & MCH Degrees awarded as per MCI norms are not recognized. Hence these M.Sc., Ph.D. and integrated M.Sc. Ph.D. degrees are more useful to foreign aspirants. 1. To impart knowledge about the status of health and disease in India and methods of disease prevention, control and health promotion. 2. To train medical graduates in the methods of studying health and disease in populations with a focus on epidemiology and biostatistics. 3. To provide medical graduates with thorough theoretical and practical knowledge in the basic and recent advances in the fields of microbiology, immunology, pathology, radio diagnosis, biochemistry, molecular biology and genetics with specific reference to health and disease through appropriate theoretical and hands on laboratory based training programs. 4. To enhance the clinical skills by rotational training and exposure to all the diagnostic and clinical departments of the hospital. 5. To enhance the skills of medical graduates to an extent that he\she manages the patients of at least one clinical specialty with the confidence of a specialist. 6. To train the medical graduates in conceiving, creating, organization and management of healthcare facilities e.g. health camps, clinics, nursing homes, hospitals etc. and disaster management. 1. Theoretical and laboratory based skills in microbiology, biochemistry, immunology, pathology, radio diagnosis, genetics and molecular biology. Epidemiologic research designs and methods including methods for sampling, evaluation of diagnostics. 2. Training in biostatistical methods. 3.Rotational training and exposure to all the diagnostic and clinical departments of the hospital with special posting of minimum one and half year in the clinical departments of choice. It will have 4 papers of Maximum Marks 50 for 3 hours duration each at end semester examination. During 3rd semester the candidate will select one course of his choice. The candidate will attend the theory as well as get hands on training in this course. During 4th semester the candidate either continue in the same course of his \ her choice or will change the course. Thus the candidate will attend one course of his\ her choice, besides two compulsory papers in each semester. Ischemic heart diseases, hypertension & intensive coronary management. Thesis: All the candidates who wish to persue their Ph.D course should qualify Ph.D entrance examination before registration in Ph.D. Candidates who desire to exit at M.Sc need not to write a thesis. They may opt for a dissertation. In the first month of the 3rd semester the candidate will be allotted the thesis\ dissertation topic from the subject of his\ her specialty of choice under supervision of Professor\ Associate professor of the subject. The synopsis of the thesis \ dissertation must be submitted by the end of third month. The candidate will have to defend the synopsis in front of RDC of the subject. After appropriate amendments and ethical committee approval RDC will permit the candidate to start the work. If required, with the permission of RDC necessary changes may be done in synopsis within 6 months from the date of approval to start the work. At the end of the 4th semester the candidates will be examined in compulsory courses. For candidates opting for integrated M.Sc. Ph.D (Health Sciences- specialty ) program. Review and scientific paper writing and development of research proposal. During 5th & 6th semester the candidate will be trained in one course of his choice out of maximum two courses choice chosen during 3rd & 4th semester, and will get hands on training in that particular course of his choice and that course will be treated as his specialty. At the end of 6th semester there will be theory and practical examination in the course of choice. If the candidate desires to exit the course at the level of M.Sc. only or he\ she does not qualify for Ph.D then thesis is to be submitted.The thesis must be submitted at the end of third month of 5th semester. The thesis will be sent to four examiners, two internal & two external for evaluation. If approved by at least three examiners, the candidate will be called for viva voice at the time of practical viva voice examination at the end of 6th semester. The candidate must defend his thesis in front of external and internal examiners of practical examination and the departmental faculty including postgraduates. If the thesis is approved the candidate is allowed to appear for theory and viva voice examination at the end of 6th semester in the subject of choice. If the thesis is not approved the candidate will have to submit the revised thesis after three months. At the end of 6th semester the candidate will be examined for the award of M.Sc. degree in Health Science specialty. The examination will consist of four theory papers and practical examination including viva voice. This should be done at the end of two years of training. Consists of clinical examination and viva voice. One long case and three short cases will be given to each candidate and clinical discussion would last for thirty to forty minutes for long case, fifteen to twenty minutes for short case. The candidates should also be given ECG, X-ray, ABG reports to interpret. Various equipments used in OT and ICU, catheters for invasive monitoring, drugs & fluid therapy to be interpreted and discussed. Two internal examiners (one is director/HOD and the other is Prof. of Intensive care/ Anesthesiology) and one external examiner or as per University rules. The Director/HOD should be the convener for the examination. This is a skill enhancement \ improvement program and does not guarantee any employment. However they will be able to work more efficiently and safely under the guidance of concerned specialist \ super specialist. It is not under the purview of MCI. The degree of M. Sc Health Sciences will be awarded by interdisciplinary department of Health and Biomedical sciences, Faculty of Health Sciences & Nutrition, Rama University, Uttar Pradesh, Kanpur as per UGC norms. However, this skill enhancement program will make medical graduates more fit for academic, national and international health organizations, research & academic institutions and of course running their own nursing homes, hospitals and clinics. They will be competent enough to conceive, create, organize and manage the health care facilities and manage any disaster. As per rules of Rama University, Uttar Pradesh, Kanpur. The selected candidates will work as junior resident in the respective department of their choice. They will be paid stipend as per rules of the Rama Medical College, Hospital & Research Center, Kanpur. If the candidate does not quit after the award of M.Sc. H.Sc. degree and gets registered for PhD program, financial research assistance will be provided as per rules of Rama University, Uttar Pradesh, Kanpur.